Whether you're the patient type who doesn't place any wagers until after watching the first half of a game, or an action junkie who loves to lay down a bet whenever possible, halftime betting at an online sport books presents the better with some unique money making opportunities. We have some pretty solid tips here for you today, but tread lightly--this is "sink or swim" type of action. We are KILLING it with our NFL Five-Star Football picks in 2010. If you want to win some money, do yourself a favor and check this out. Won't cost you hundreds or thousands of dollars like all the other "experts", and we win more than they do. Strike while the iron is hot, people. Lets say you're watching the Lakers play the Knicks, with the Lakers being 5.5 point favourites when the game began. Now lets say that at halftime, the Lakers trail the Knicks by 8 points and Bodog (or whichever sport books you're using) sets the halftime line at Los Angeles -11. What this essentially means is that the Lakers are now only laying 2.5 points for the game. If you still like the Lakers in the game, you now have some line value compared to the 5.5 point spread you needed them to cover prior to tip off. This can work both ways, of course--if we flip the halftime score and put the Lakers up by 8 points, and Bodog sets the halftime line at Los Angeles -2, you have now lost your line value as they will now have to win by 11 points instead of the 6 you could have gotten prior to the game beginning. This adjusted line concept is the first thing you need to consider before placing a halftime wager--are you getting any line value or not? But remember, don't wager blindly just because you have line value. It's just one factor that you evaluate prior to making a halftime bet. 1) The halftime score puts you on pace to win your original bet on the game, you like what you've seen so far and you decide you want to "double up" and bet even more money on the team you initially bet. Whichever route you decide to take, it's critical that you paid close attention to what happened in the first half and do a quick adjusted line value calculation. Each situation is different, and as you become more experienced this sort of calculation will be much easier. The most attractive feature of halftime betting is the opportunity to "middle" your bets. Keeping with the Lakers example, lets put the halftime score at 63-47 Lakers, a 16 point halftime lead. Now Bodog puts the second half line at New York -2.5. Lets say you've already bet on the Lakers to cover the 5.5 points, and you think they might take their foot off the gas pedal. You can bet on the Knicks to outscore the Lakers by 3 points in the second half, and still win your initial bet if LA wins by 6-13 points. These concepts are somewhat advanced and can be confusing if you haven't been gambling for a long time. If you decide to try out halftime betting, it would probably be wise to bet small amounts in the beginning--you only have 15 minutes to make a decision, so don't get too carried away. Check out more of our sports betting tips articles to become a smarter sports better. Knowledge is power, folks. Best of luck, and please gamble responsibly! To be successful in sports betting, you need multiple sport book accounts. 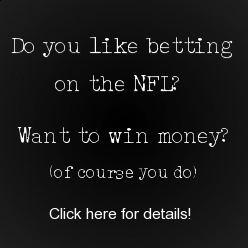 Click the banner below and sign up with our #1 rated site, Bodog--your satisfaction is guaranteed. Or check out a review of one of our other top Sport Books to see which is best for you. sportbooksreview.com - your #1 gambling source for sport books reviews, sport betting information, sports betting tips and advice, enjoy your stay! This site was constructed to showcase some of the better online sports books. The information is opinion only, and should in no way be considered 100% accurate. This site is for entertainment purposes only. Online gambling may not be legal in your area, check with your local authorities if you are unsure. You are solely responsible for your actions, not this site, it's owner or any of its affiliates. Please gamble responsibly!